Rita Hotchkiss Economos, 98, widow of Pete Economos died Saturday, March 23, 2019. Mrs Economos was a native of Savannah, Ga, and a daughter of the late Alvin Ennis and Edna NeSmith Hotchkiss. Rita was an active member in her church Holy Trinity Greek Orthodox Church of Augusta, Ga. She was a member of the Ladies Philoptocjos Society where she served on the State excecutive board for many years. She also was Altar Guild Chairman from 1980 – 1990. She was affectionally known as YAYA by her grandson, great-grandson, family and friends. 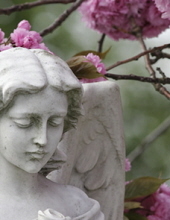 Funeral Services will be 11:00 A.M. Wednesday, March 27, 2019 at Holy Trinity Greek Orthodox Church in Augusta Ga. With Father Vasili officiating. Interment will follow in Magnolia Cemetery. Family members include daughter Mary Edna Keller and her husband Tommy; one grandson, Travis Still and his wife Whitney; one great-grandson, Sanders Still; and her devoted caregiver Mary White. Several nieces and nephews. Memorial contributions may be made to Holy Trinity Greek Orthodox Church, 953 Telfair Street, Augusta, Ga. 30901. To send flowers or a remembrance gift to the family of Rita Hotchkiss Economos, please visit our Tribute Store. "Email Address" would like to share the life celebration of Rita Hotchkiss Economos. Click on the "link" to go to share a favorite memory or leave a condolence message for the family.